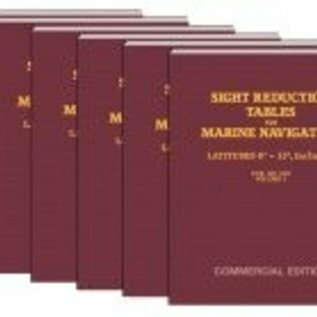 This is the standard set of tables designed for marine navigation. Although there are 6 volumes in a set, only those pertaining to the latitudes anticipated need be obtained. Their tabular data, being purely mathematical results, never go out of date. The latitudes listed for the Volumes work for either northern or southern hemisphere.